Were working with Butlins Skegness to bring you a live stream of their opening of an ultra modern £13m waterpark, Splash Waterworld. Once open there will be a new outside splash play area with fountains that will turn into a water display after dark. Inside there will be flumes as well as rapids, and a lazy river ride that takes guests on an outdoor adventure. There will be an exciting wave pool, shallow areas for tots, and a central whirlpool and hot tub. For observers, or those who just want to relax between adventures, both the ground and upper levels offer seating and lounger areas with the lower level also having a café serving drinks and light snacks. 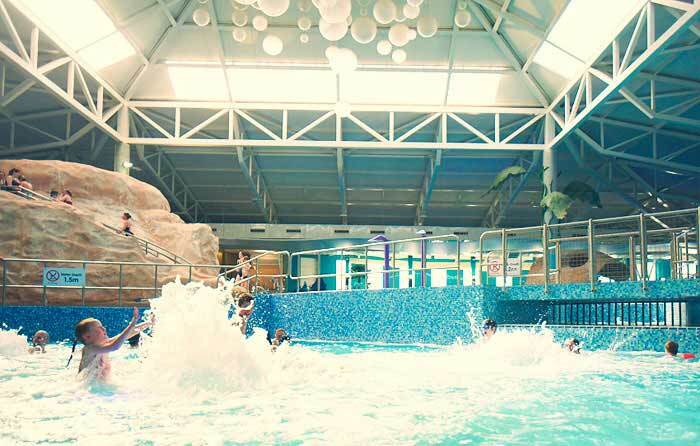 The livestream event features 2010 Britain's Got Talent winners showing viewers around the Splash World at the opening and all the different exciting things at SplashWorld and also they will be answering questions submitted below. The Stream begins live at 2pm BST Today and available to watch here on this page.